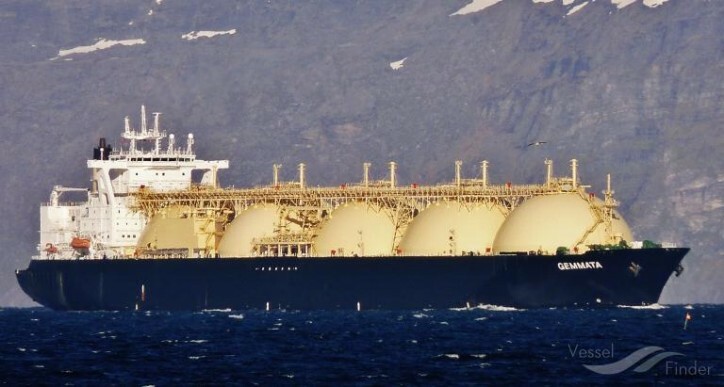 Trinidad and Tobago has achieved another significant milestone in its LNG business: the country's 4000th LNG cargo was lifted successfully this weekend onto the Gemmata, an LNG tanker on its 15th voyage to the Atlantic facility in Point Fortin. The vessel berthed at Atlantic's Jetty #2 at 6:00 AM on March 16, and finished loading by 3:30 AM on March 17. To mark the historic occasion, an Atlantic delegation boarded the Gemmata and exchanged symbolic tokens with Captain Karol Koperek. Atlantic CEO Dr. Philip Mshelbila said that instrumental to the 4000th cargo milestone was the expertise of Atlantic's people and their deep commitment to safety and to furthering LNG's contribution to the national economy of the country. Trinidad and Tobago's 4000th LNG cargo is the latest achievement in the country's participation in the global LNG and energy business. The country is currently among the world's top 10 LNG producing countries. Employees of LNG production company Atlantic have also lent their expertise to help with start-up and commissioning activities of other LNG facilities in Australia, Angola and Azerbaijan.